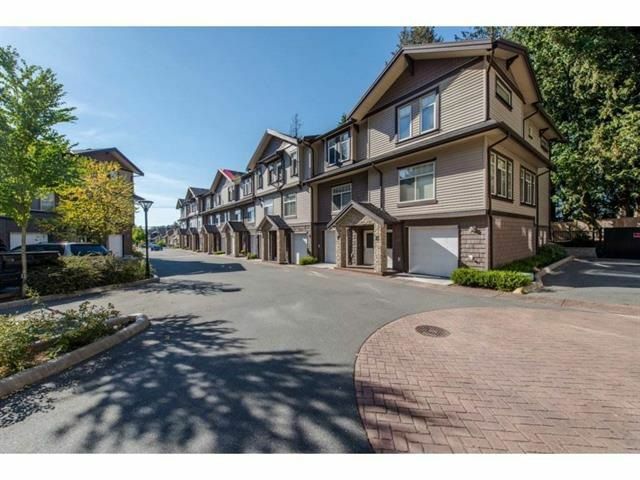 Fantastic Location in Cedar Landing, Prime Abbotsford location. Close to Highway 1, and Fraser Highway. This 3 bedroom Town Home has it all. Generous size bedrooms, 3 bathrooms, a large patio for BBQ and entertaining and a BONUS flex roomor Man Cave/ Hobby room downstairs. Semi Open floor plan, perfect for the down sizer or family, there really is room for everyone here. Lots of guest parking this complex has that neighborhood feeling that you will fall in love with. Book your private viewing now. Rentals and Pets Allowed.